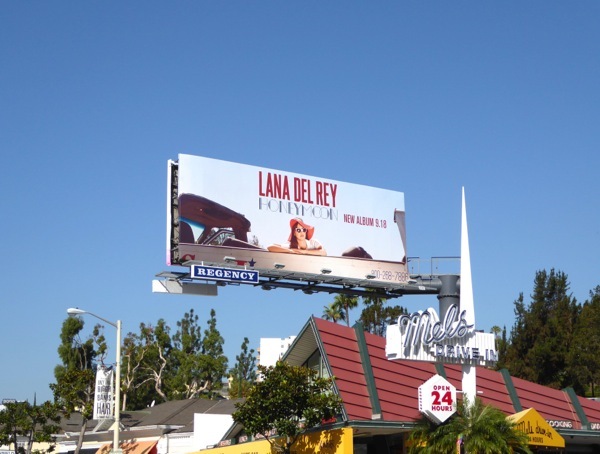 When Daily Billboard first saw the teaser billboard featuring no copy for Lana Del Rey's latest album, Honeymoon, at first we thought it was a fashion ad, or even a billboard for StarLine Tours Hollywood sight-seeing buses. 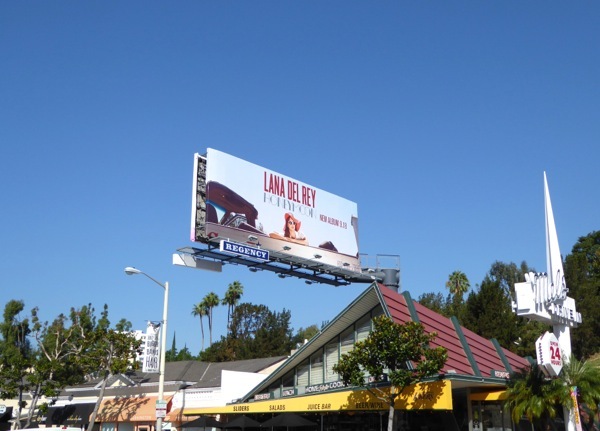 The copy-less teaser was snapped along the Sunset Strip in West Hollywood on August 16 and the reveal billboard with the singer's name and album title, explaining everything, was photographed on August 27, 2015. Known for such hits as 'Summertime Sadness', 'Born to Die', 'National Anthem', 'Gods & Monsters' and 'Young and Beautiful' from The Great Gatsby movie soundtrack, the American singer-songwriter releases her fourth studio album on September 18, 2015. Whether we'll get more remixable dance anthems, or more loungey music to slit your wrists to, is yet to be seen, but one thing is for certain, it'll be uniquely Lana Del Rey (which is not something every recording artist can say). 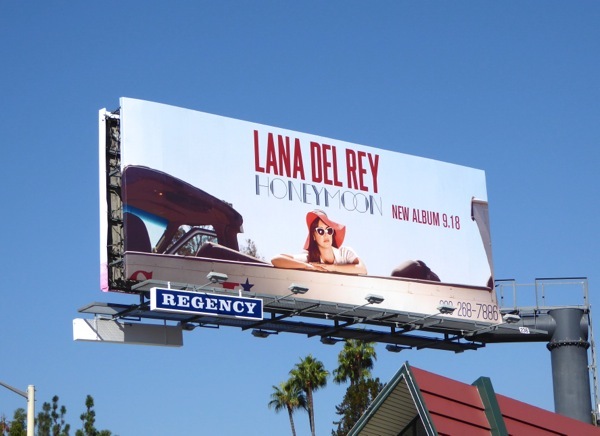 If you love music, be sure to also check out all these other music genre and recording artist billboards here at Daily Billboard. 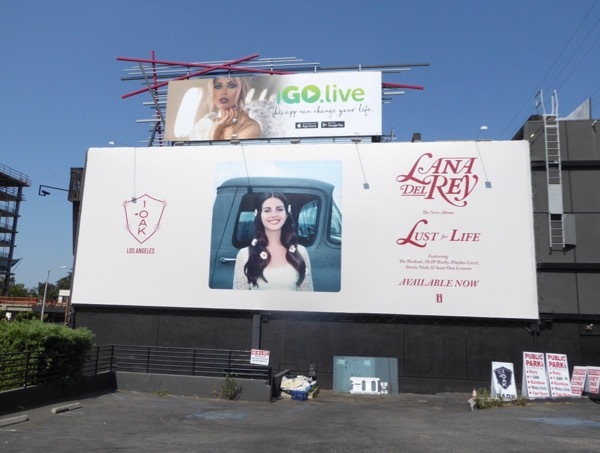 UPDATED: Here's also a billboard for Lana Del Rey's fifth studio album, Lust for life, snapped on the side of the 1OAK nightclub along West Hollywood's Sunset Strip on August 5, 2017.